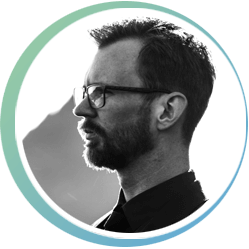 Benjamin M. Cramer is a composer and conductor committed to the creation and continued performance of new music. His music has been described as “modern new tonalism” and “a multicolored fractal sound pattern.” As a composer, Benjamin’s choral, orchestral, and concert band music has been performed internationally; mostly recently in Italy, London, Scotland, Wales, the United Arab Emirates and the United States of America. In 2016, he was a runner-up in the London-based Fourth Choir’s International Shakespeare composition contest under the direction of Dominic Peckham. Born and raised in Minneapolis, Minnesota, Benjamin became immersed in choral music, theatre and journalism. In 2009 he came to Luther College in Decorah, Iowa as a physics and music student where he sang in the Nordic Choir under the direction of Dr. Allen Hightower. Following graduation from Luther, Benjamin co-founded the Vox Nova Chorale, a mixture of young composers and conductors alongside professional singers dedicated to providing workshop and masterclass opportunities each summer. In 2014, Benjamin founded Painted Harmony, a choir of young professionals dedicated to the premiere and performance of new and alternative choral music. In 2016, Benjamin completed his Master’s Degree in Vocal Music with distinction, studying both conducting and composition at the University of Aberdeen in the United Kingdom with Royal Wedding composer Paul Mealor. He is currently serving as composer-in-residence with the King’s Philharmonic Wind Orchestra in Scotland. mixed choir, Difficulty : 4, a cappella, 5-10 min. mixed choir, Difficulty : 3, a cappella, 3-5 min.